OFFICIAL MOVIE TRAILER OF "ANG SIKRETO NG PISO" Directed by BY Perry Escaño. The film will be shown nationwide on January 30,2019. Bring your kids to the cinemas and you will surely enjoy this comedy film for Filipino families. 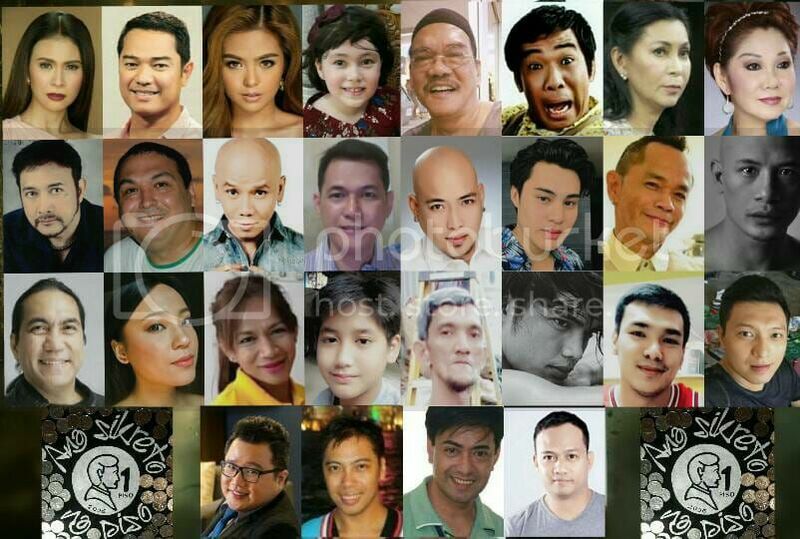 Gelli de belen, Ariel Rivera, Bea Binene, Lou Veloso, Angelica Ulip, Long Mejia, Joyce Peñas Pilarsky, Nico Nicolas, Ricky Rivero, Beverly Salviejo, Wacky Kiray, Gabby Go Balauag, Paul Sy, Garry Lim, Kiel Rodriguez,Raphael Robes, Gomz Burza, Micah Musa, Kim Llono, Lao, Amberlicious, Abel Napuran, Alvin Barcelona, EmEm Bunyi, Donna Tamayo, Roy Sotero, Morris Sevilla and special participation Ernie Garcia. "Ang Sikreto ng Piso, (The Secret of the Philippine Peso)” is a family-oriented comedy inspired by actual events on the smuggle of the Philippine peso coin in 2006. Ronnie has to make sacrifices to save up for the future of his wife and only daughter. He is forced to accept an odd job that promises higher income--one that requires him to gather as much one-peso coins has he could. It is only a matter of time when he discovers why these coins are being smuggled abroad. What secrets do these coins hold? Can these coins help Ronnie save the life of his daughter who lies in agony in the hospital? china nga c/o taiwanese ..
You are a good researcher sir. Real life husband and wife Ariel Rivera and Gelli de Belen reunite in the big screen via the upcoming film “Ang Sikreto ng Piso,” written and directed by Perry Escaño. Now blessed with two grown sons, de Belen and Rivera take on parent roles in this family-oriented comedy, which also stars Bea Binene, child actress Angelica Ulip (of “Ika-6 Na Utos”), Lou Veloso, Nico Nicolas, Joyce Peñas Pilarsky, Ernie Garcia, and comedians Long Mejia, Ricky Salvador Rivero, Beverly Salviejo, Garry Lim, Goms Burza, and more. After coming back home to GMA, de Belen is set to appear in the upcoming drama series “Ika-5 Utos,” which she also stars with her niece Inah de Belen, daughter of her older sister Janice. LOOK: Gelli de Belen, Ariel Rivera and sons spend holidays in Canada after filming of "Ang Sikreto ng Piso"
I Can See Your Voice host Wacky Kiray beyond thankful for all the leassons his partner for almost 12 years had taught him. "Ang dami ko pong natutunan sa kanya, sobrang dami... Hindi ako nakatapos, marami akong mga bagay na hindi alam, na isini-share niya sa akin." Comedian Wacky Kiray, or Ricardo Balaroso Jr. in real life, admitted to getting emotional whenever he talks about his 12-year relationship.He and his partner Jereck Ty met in the most conventional way. In an exchange of messages with the comedian, June 30, he detailed to PEP.ph (Philippine Entertainment Portal) how he and his partner first met back in 2005. His message reads, "I met my partner in July 25, 2005, sa Punchline Comedy Bar. "Naka-set ako, Sunday night, then he's one of the audience. "Lahat sila naka-red, around 30 of them. "Isang angkan sila, lahat naka-pula, birthday ng lola nila. "Sa harap pa nakaharap kaya pansinin at subject ng joke. "Pinaakyat namin sa stage para mapaglarua ma pag laruan image: "Pinaakyat namin sa stage para mapaglaruan." Wacky continued, "Patapos na ang gabi, mga pinsan niya teased him to sing on stage. "Binulong ko na kunin ko number niya. "Pauwi na sila, nakita ko, nag-CR. "Sinundan ko siya kahit kumakanta pa ako sa stage, naka-on ang mic ko. "Yun pala, ready na... inabot niya sa akin tissue with his number. "Then, we met the following day... we meet every day after my set or after his work." And, as cliché as it may sound, the rest is history. According to Jereck's Facebook account, he had his culinary internship in Mandarin Oriental Manila and finished his grad school in the University of the Philippines Diliman. Although, Wacky admitted, "Not a single day na di kami nag-aaway sa mga petty things and we are happy na we reach 12years." 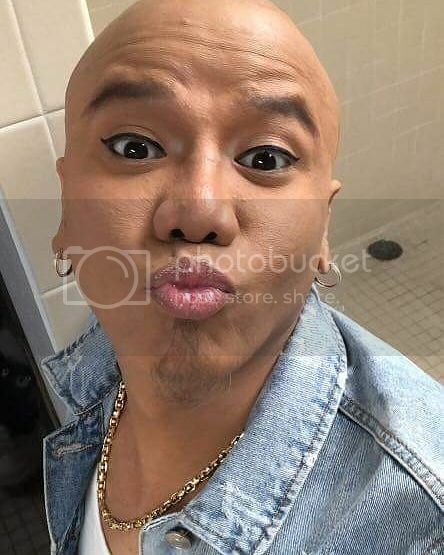 Wacky Kiray is busy with his "Bagani" teleserye and just finished shooting 'Ang Sikreto ng Piso, " a family oriented comedy film flick written and directed by Perry Escaño produced by JPP Dreamworld Productions. Film will be shown nationwide soon. 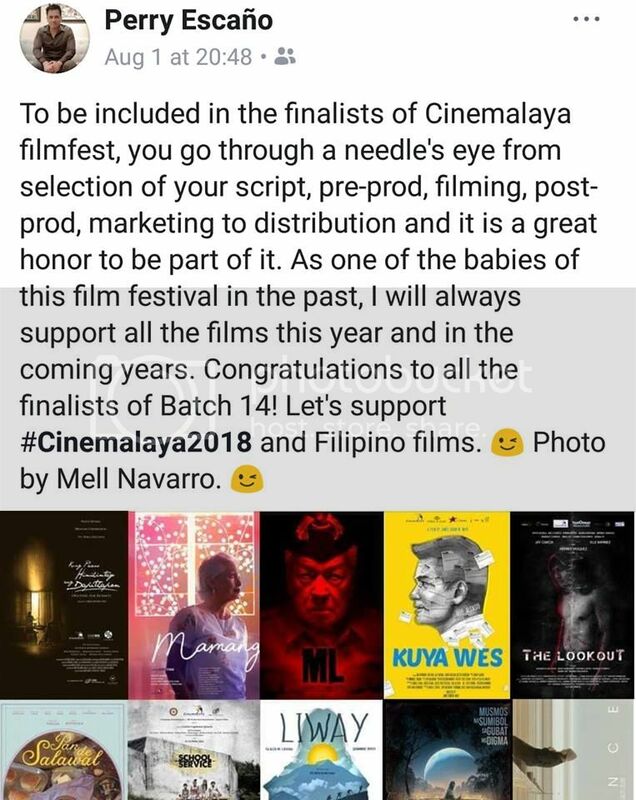 I wanted to share this admirable post but the owner Direk Perry Escaño prefers to set into private mode on his Facebook so I took a screenshot of this filmmaker status because we seldom seeing posts like this. Status like promoting, helping and supporting the success of others. The triumph of his friends makes him feel more fulfilled and joyful and this gentleman has no ego and pride with great humility and known for his generosity and kindness. These are the good character traits to applaud and this young man became a social media influencer. Since I watched his film last year at the Cinemalaya in CCP, I turned into his avid social media following. With great admiration of his brave work, its film content was about tackling the revelation of the corruption in the government and it was one of the amazing films I witnessed. I am sharing this to you for the reason that our society has lost the instinct of kindness, the willingness to extend the hand of friendship and aiding others. It's just that helping others succeed can be your greatest success and the secret of happiness is helping others. 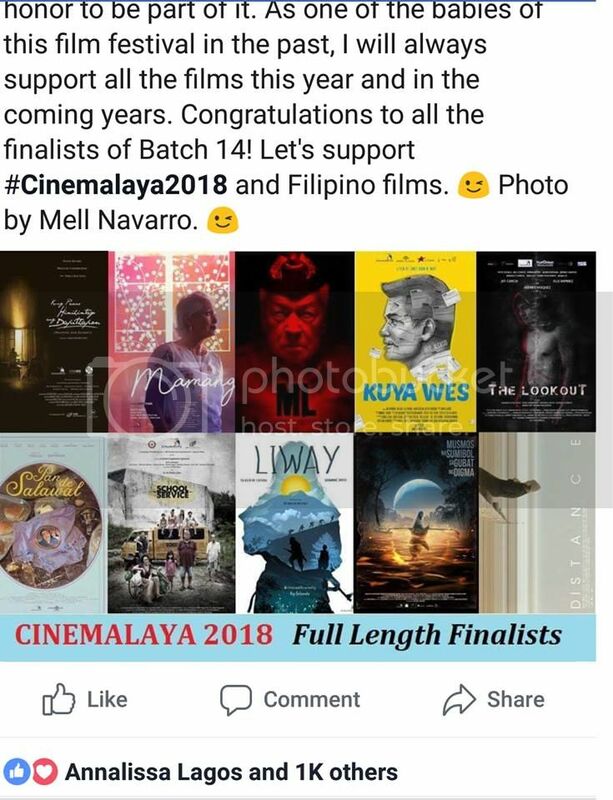 I consistently support Cinemalaya films like you and looking forward to watch your next film Direk Perry Escaño. 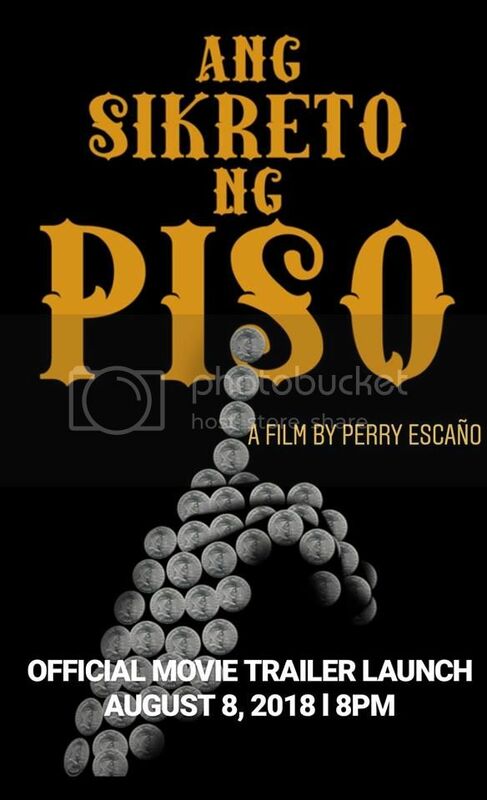 Re: OFFICIAL MOVIE TRAILER OF Perry Escaño's "ANG SIKRETO NG PISO,"
Re: OFFICIAL MOVIE TRAILER OF Perry Escaño's "ANG SIKRETO NG PISO"
Opens in January 30, 2019 Perry Escaño's "ANG SIKRETO NG PISO,"
In theaters nationwide in January 30, 2019. Gelli de Belen is glad her sons Joaqui and Julio, who are studying abroad, have become independent and more responsible. Gelli de Belen's Instagram feed was recently filled with posts about Joaqui and Julio, her two sons with husband Ariel Rivera. The boys were in the Philippines for a few weeks of vacation and family time before they went back to Canada, where they are currently studying. Gelli explained, "Kasi summer lang, pero ngayon nandoon na ulit sila, nakabalik na sila. Siguro naka-isang buwan at kalahati rin sila." The actress shared their present set-up. She would go to Canada thrice—beginning, middle, and end of the year. During Joaqui and Julio's summer vacations, they will come home to the Philippines. She added, "May mga girls silang gusto, ka-text. Pero gusto ko, mag-focus sila sa dapat nilang pag-focusan. "Sabi nga ng Tatay nila, 'Alam niyo boys, yung girls, palaging nandiyan. Focus on whatever you need to focus and finish it. The girls will always be there and if you have something to stand for, meaning nakapagtapos ka ng pag-aaral, mas maraming girls.'" Now that the boys have flown out of the nest, Gelli and Ariel are back to being alone at home. The couple also finished shooting an indie film, Ang Sikreto ng Piso. The family-oriented film will be released in cinemas nationwide on January 30 directed by Perry Escaño. "Ang weird! Ang weird namin na nagko-comedy kami ni Ariel," Gelli said of the movie's genre. "Keri ko yung nagdadrama kami, pero yung comedy, nawi-weirduhan ako. Well, mostly naman, sa akin nanggagaling ang comedy. Pero si Ariel, meron yung nararamdaman ko na—okay lang ba yun? May ganun. "Pero okay naman siya, kaya lang natatawa ko." The actress also opened up on what she likes about working with a spouse. "Yung comfort," she revealed. "It’s really comfortable working with your husband. So yung mga eksena na kailangang intimate, walang problema. Sabay kaming umuwi, yun lang. Siguradong tatawa kayo dito. Sa Janauary 30 na sa buong sinehan. 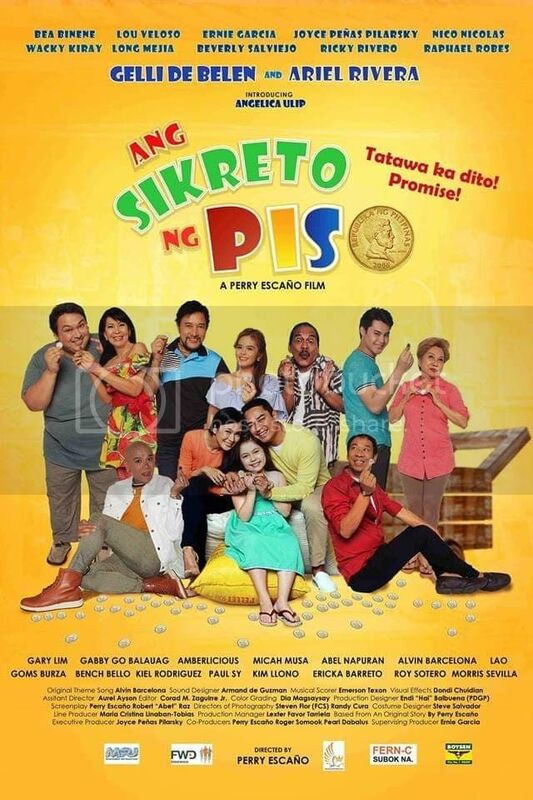 "Ang Sikreto ng Piso" is a family-oriented comedy film directed by Perry Escaño, showing nationwide on January 30,2019. Bring your kids to the cinemas and you will surely enjoy this comedy film for Filipino families. Statement of the writer and director Perry Escaño about his stolen script. I'm in so much pain and my heart is broken. It felt like the end of the world when I found out that my concept/ script for the movie "Ang Sikreto ng Piso," was stolen from me by a producer who I trusted a lot. It's sad to think that I've worked hard with the research, the ideas, the content, the premise, only for everything to be stolen from me. I recently learned that the producer's team has filmed a material similar to mine and that this is now being screened in schools. The news is so devastating, but I had to be firm and strong. I promised myself that this film, my film, will seen by more Filipinos. This is the main reason "Ang Sikreto ng Piso" had to be screened at a later date on January 30, instead of our target showing date last year as we moved the shooting schedules. I had to hire a new writer and worked together. Thanks to Robert Abet Raz for his contribution. Revisions were made, more characters were developed and improved. In the end, what we came up with is a totally different story from my original script. I recently submitted my script to the National Library to secure its copyright. Let this serve as a lesson to my fellow writers and filmmakers. Do not just trust anyone, especially when you have not yet signed a contract with them. Anyone can just steal your ideas. You have to be careful. We have to be careful!